The information presented on this page was originally released on September 13, 2013. It may not be outdated, but please search our site for more current information. If you plan to quote or reference this information in a publication, please check with the Extension specialist or author before proceeding. 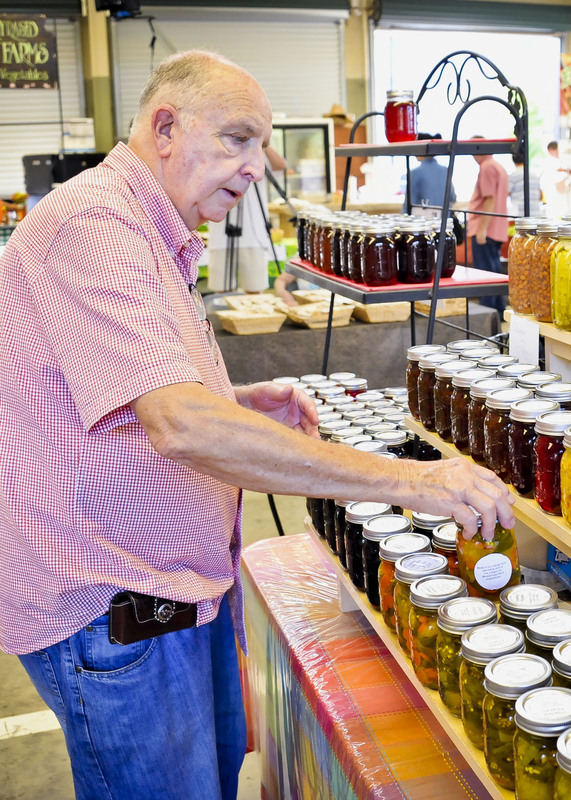 MISSISSIPPI STATE – Now that dozens of jars of jams, jellies, pickles and vegetables gleam on his booth’s shelves, it is hard to believe that eight years ago, Claude Jones refused to sell his wares at the Mississippi Farmer’s Market. The market director invited Jones to set up a table and sell his candy, but Jones refused. “I said, ‘No, no no!’ He said, ‘What would it take?’ But then before you know it, I was down there on Saturday with a card table and 12 little 7-ounce bags. I sold out in about an hour. I was glad, because I could leave and go home,” Jones said. The next week, Jones took 24 bags. The following week, he took 36 bags of brittle and some jelly he had canned. Jones, now 76 years old, and several family members work together for Old Fashioned Taste, their cottage-based food business. Jones’s daughter, Cerilda, has taken several courses through the Mississippi State University Extension Service and displays her certificates on the refrigerator at their farmers market booth. She and her father can salsa, pickles and other foods together. Cottage food business owners do not have to have a licensed and inspected facility, but they are limited to $20,000 per year in gross annual sales. Business owners must keep accurate financial records for review to make sure they are in compliance with the income limits, Williams said. All items must be produced and stored only in household kitchens and can be sold only directly to consumers. “Vendors can’t sell to retail or wholesale stores, over the Internet or through mail order,” Williams said. 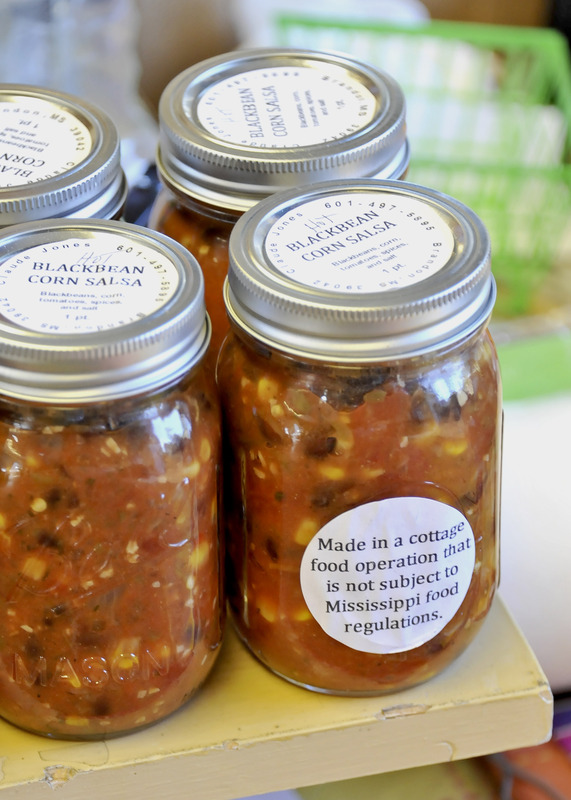 Williams teaches workshops across the state to help Mississippians with food-related businesses and to show them how to comply with food safety regulations. He said the restrictions in place are designed to protect both business owners and consumers. He cautioned people making food products in home kitchens to use extra care in the sanitation and food processing steps to make sure their products are safe. He also cautioned against making any type of product that is low acid or acidified without proper training and knowledge of the product’s acid level, also known as the product’s pH. “Most of these foods require special processes, control measures and regulatory agency oversight to be produced in the marketplace to keep consumers safe,” he said. For more information about the cottage food law and requirements for vendors, visit http://1.usa.gov/17wcjHP.